In general, ratemaking for workers compensation is a complex process by which historical insurance statistics are complied, analyzed and projected into the future by trained actuarial professionals in order to produce adequate and equitable rates. Full rates including all losses and expense can be fully developed by a Rate Service Organization (RSO), or the RSO can produce the ‘loss cost’ only portion of the rates, with the insurance carriers then including their own expenses that produce individual carrier rates. In New York, as of October 1, 2008, a loss cost system for determining workers compensation rates was established by legislation. As a result of that legislation, the Actuarial Department of the Rating Board is responsible for calculating just the loss cost for each of approximately 600 classifications of businesses throughout the state. The pricing system utilized by the Rating Board, and used in all but one other state, encompasses both the amount of wages (remuneration) paid by each employer, as well as the nature of the work being performed. Remuneration (expressed in payroll dollars) is used as the rating basis since it has been found to be an excellent measure of the exposure to job related injury, as well as being easily obtainable and easy to verify. Accordingly, an employer’s annual payroll, in $100 units, is multiplied by a price or “rate” (which reflects the nature of the work) to determine the annual premium. This premium is modified, where appropriate, to reflect the individual employer’s safety record. This modification, referred to as Experience Rating, is discussed in another site location. To understand the derivation of the premium, or rate, it is necessary to examine what these amounts are intended to cover. Basically, the workers compensation premium must be sufficient to cover the statutory weekly benefits to which the injured worker is entitled, as well as payments to doctors, hospitals and others for medical and rehabilitative services provided to the injured worker. Also, insurance, like any other enterprise, has certain costs of doing business which are necessary to operate the insurance system. They include the expenses incurred in obtaining business (including commissions to producers), the overhead or operating costs of an insurance company, taxes and the expenses incurred in claim settlement. The major question to which the ratemaking process is continually required to answer is whether or not the current price being charged is sufficient to cover future benefits and expenses. This, in essence, is the starting point for the calculation of all rates and, in New York loss costs and other pricing values promulgated by the Rating Board. To answer this question, one must begin by examining the two major data collection procedures established by the Rating Board, namely the gathering of Aggregate Financial Data and Unit Statistical Plan Data, and their use in the ratemaking process. Aggregate Financial Data from all carriers writing workers compensation insurance in New York is used to determine the required overall change to the current loss cost level. When experience (premium and losses) is recorded by the insurance carrier, it may be organized in several different ways, depending upon the purpose and use of the data. Workers compensation ratemaking in New York requires the collection of data by policy year and calendar/accident year. Policy year experience considers premiums and losses arising from policies issued in a given time period, such as January 1, 2008 through December 31, 2008. It directly matches the premiums and losses arising from this given block of policies and, consequently, provides a more stable ratemaking base than other types of ratemaking data. Calendar/Accident Year data is another way of organizing ratemaking information. For premium, calendar year data is used and this experience most nearly resembles the data one is accustomed to seeing in the financial reports of all types of businesses, whether or not they are related to insurance. Calendar year premium refers to premium from all financial transactions which occurred during the calendar year, irrespective of when the underlying policies were effective. Accident year losses are organized, usually for a twelve-month period, according to the date the accident or injury occurred. For example, accident year 2008 losses refer to benefit costs from all accidents or injuries occurring during 2008. Calendar/accident year data, although not providing as good of a match between premiums and losses as policy year data, is more responsive than policy year data since it provides a more current view of overall experience. In developing indicated rate or loss cost changes, the actuary is concerned with obtaining a reasonable balance of two basic characteristics, namely “stability” and “responsiveness”. While the rates or loss costs should be responsive and reflect the most current needs and conditions, it is also important that they are reasonably consistent and do not have significant fluctuations from year to year. Consequently, an average of the policy year and accident year experience is used in determining the overall average level for the prospective policy period. Before using this experience, however, certain adjustments must be made to the data. This is due to the fact that workers compensation, similar to other lines of insurance, is a prefunded system. What this means is that premiums collected during a given year are intended to meet all future obligations from these policies, regardless of when the claims are reported or are ultimately settled. For example, if a loss occurs in 2008 on a policy written in 2008, but payments are still being made to the claimant in 2012, the premium which was collected in 2008 must be sufficient to cover the claim payments made in 2008, as well as all other payments still to be made on this claim through 2012. Since the policy year and calendar/accident year data is historical in nature, actuarial adjustments are made to the data so that it can be used to determine whether or not changes to the current loss costs are warranted. The first of these adjustments is applied to the reported premiums and is used to bring the historical premiums to the current loss cost level. It should be noted that, in a loss cost environment, the premiums used here are reported at what is referred to as a Designated Statistical Reporting (DSR) level, which is the level of the underlying loss costs. The adjustment to the DSR premium to the current loss cost level is necessary since, if we are evaluating the appropriateness of the current loss costs, then the underlying base must be on that same level. The historical losses, on both the policy year and accident year basis, must also be adjusted so that they can be properly related to the previously adjusted DSR premiums. Since, in some years, benefits available to injured workers are changed by statute, it is necessary to adjust the reported losses to the current benefit level. As with the DSR premiums, if we are evaluating the present loss costs, which reflect the present benefit structure, then the losses must likewise be adjusted to this same level. The losses, as reported to the Rating Board, are relatively immature insofar as representing all claims and final settlements, so that factors called loss development factors are applied to the reported losses to estimate final or ultimate costs for both indemnity and medical benefits. Over twenty years of loss development patterns are analyzed using several actuarial methodologies in order to arrive at appropriate policy year and accident year development factors. A final adjustment to the losses is necessary to reflect those expenses which are related to the adjustment and settlement of claims. Lawyers’ fees, adjusters’ fees, and the cost of court and medical testimony and other expenses, which are specifically tied to the settlement of claims, are included in this amount, known as loss adjustment expense. After both the calendar/accident year and policy year data have been adjusted, the adjusted losses are compared to the DSR premiums (expected losses) in order to determine an indicated overall loss cost change based on experience. If the resultant factor is less than 1.00, then more funds than necessary would be generated at the present loss cost level, and a loss cost decrease is warranted. Conversely, if the factor is greater than 1.00, then not enough funds will be generated for losses and a loss cost increase is warranted. After the experience indication is developed, a factor is applied to reflect the effect of any newly enacted benefit legislation. In order to compute the effect of a statutory benefit change, the average benefits after the change are compared to the average benefits available prior to the change. Certain actuarial statistics concerning the distribution and size of wages, the loss of earning potential and the distribution of cases are necessary to evaluate the effect of a benefit change. In addition to statutory benefit changes, changes in the state hospital base rates, medical fee schedules and pharmacy fee schedules are obtained from the Department of Health and the Workers’ Compensation Board (which produces the fee schedules) and are included in the ratemaking formula. A further factor is utilized in the ratemaking process and that is the projection of future claim costs and wages. Since the loss cost evaluation described thus for has analyzed data at current levels, and since insurance policies cover future costs, an estimate of these prospective cost levels must also be made. Statistical formulas are applied to separate New York medical, indemnity and wage data to project an expected change in these elements for the future. Once the above elements have been considered, they are combined to produce the overall average loss cost change needed by the industry for the coming year. However, this is only part of the picture since, as will be explained, the collection of individual policy records by the Rating Board will enable this overall indication to be equitably distributed to each and every employer. Each day, detailed reports enumerating individual policy information is submitted to the Rating Board for verification and use in the ratemaking process. 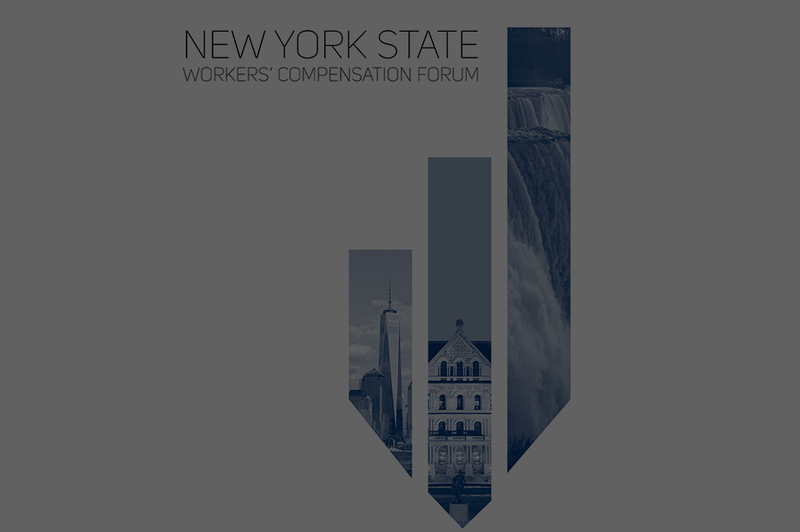 The New York Workers Compensation Statistical Plan, which is adhered to by every carrier writing workers compensation in New York (including the State Insurance Fund), outlines the rules and procedures regarding the reporting of this experience. Payrolls, losses and premiums for each policy are compiled by policy year, classification code, and injury type and, after being subjected to strict editing procedures, are given to the Rating Board’s Actuarial Department for further examination and analysis. Loss or payroll amounts that do not fall into an acceptable range of values are questioned and/or removed from the ratemaking process. After the detailed experience is reviewed for accuracy, it is summarized by industry group and by individual classification code. Industry groups are nine general categories of employment (e.g., manufacturing, contracting, services, maritime) that are comprised of the combined experience of the individual classifications that comprise each of these categories. Relativities between the industry groups are determined based on each group’s experience, and these relativities help in the equitable distribution of the overall loss cost change to each individual employment classification. As previously noted, there are approximately 600 different employment classifications in New York for which a loss cost is developed. The purpose of this classification system is to group employers so that the manual loss cost reflects the average exposure common to the business of these employers. It is the business of the employer within the state that is classified, not the separate employees, occupations or operations within the business. Since a classification’s loss cost represents the average experience of all members of that class, it is a fair and equitable way of distributing the cost of insurance. A classification which is considered 100% credible, (large enough volume of data for ratemaking) will use its own experience for determining the indicated loss cost relatively. However, if the data is less than 100% credible, a certain amount of credibility will also be assigned to the past experience in order to retain stability in the loss cost structure. To arrive at the final loss cost for each classification, the overall loss cost change, having been distributed by industry groups, is applied to each loss cost relativity. Once this is done, a statistical test is performed that compares the total loss cost derived using the old loss cost structure with the total loss cost derived under the new loss cost structure to ensure that the exact amount which is needed for losses will be available for the coming year. Of course, it must be recognized that, due to the experience of the individual classes, loss costs for some classes will increase more that of the overall average, and loss costs for other classes will change to a lesser degree than the average. However, in the aggregate, total loss costs will change by the percentage approved by the New York State Department of Financial Services. The establishment of manual loss costs by the Rating Board is just a first step for establishing final rates. Under the loss cost system, each individual carrier must evaluate its own experience and expense needs and file a ‘Loss Cost Multiplier’ (LCM) with the Department of Financial Services for approval. Once approved, the LCM is then applied by the carrier to the manual loss costs in order to produce its own manual rates. Carrier manual rates, however, are merely a starting point for many insureds whose premium is based on more than just a carrier’s “manual” rates. There are other Rating Board, and individual carrier, pricing mechanisms that are available that can affect the final premium that is charged. Descriptions of many of the Rating Board programs can be found in other areas of the website. There are two other elements that are evaluated on a regular basis by the Rating Board’s actuaries as part of the annual ratemaking process. As a result of the terrorism events of September 11, 2001, a charge for terrorism was established in New York in 2002. Since that time, various financial backstops to the insurance industry for catastrophic terrorism events have been authorized by the federal government, the latest of which is the Terrorism Risk Insurance Program Reauthorization Act (TRIPRA), which is in effect until 2014. These federal programs can impact the level of loss that carriers would be responsible for in the event of a major terrorism event. In addition, as a result of industrywide analyses, a separate charge for natural disasters and catastrophic industrial accidents was established in 2005. The loss costs for these exposures are subject to annual review and, when warranted, they can be changed as part of the Rating Board’s annual loss cost filing. A Rating Board publication, entitled New York Workers Compensation Ratemaking – A Current Perspective, provides a detailed description of the New York ratemaking process and can be found in the “Studies/Publications” section of the website under Actuarial Services. A hard-copy edition may also be ordered by contacting the Actuarial Department.